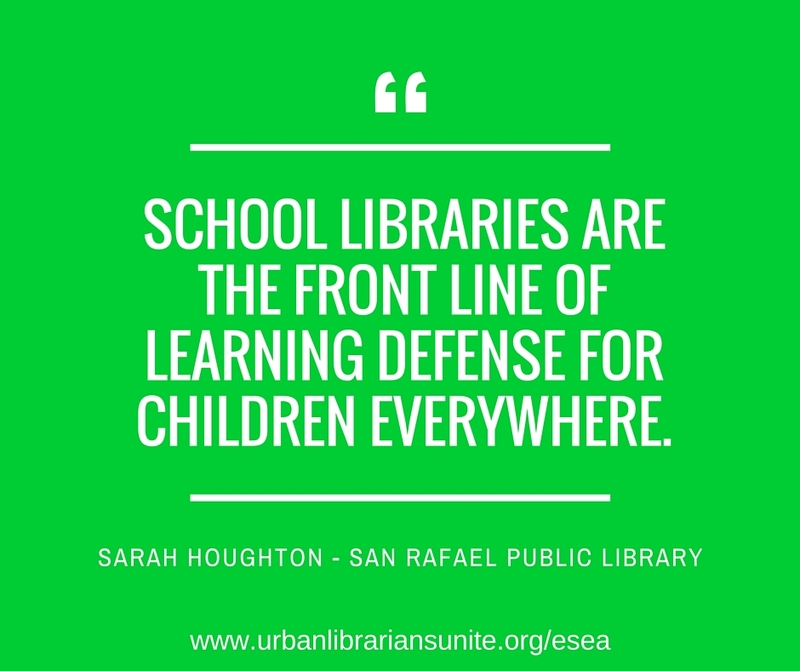 School libraries are the front line of learning defense for children everywhere. School libraries are where children can discover new interests, new challenges, and find resources for their homework assignments. School libraries are where doors open, outside of those scripted doors in the classroom. School libraries are the first place that children are taught to find and evaluate information–that not everything on the internet is true and that finding what you want is achievable for any age–you just need to know a few tricks. Plainly speaking, school libraries inoculate children against ignorance and teach them to dream. The school library was the first place I was able to read books above my grade level (aka at my actual reading level). In 1st grade I was able to check out books that mostly 6th graders were reading. That launched my love of reading and I stopped thinking of it as boring and easy and unchallenging. When school libraries do not exist, or exist without appropriate staff and funding, the public libraries become the de facto replacement. Not every child has transportation to and from a public library. Not every child has a parent willing to sign him or her up for a library card. Those children who are able to get to the public library for help with their school assignments find a library largely bereft of appropriate curriculum support (because a public library is not a school library and most often has not been informed about what the curriculum is). We do our best, but with our own limited funding we can never hope to replace the school library. ‹ Turner Masland Supports School Libraries and thinks you should call Congress and say you support them too!